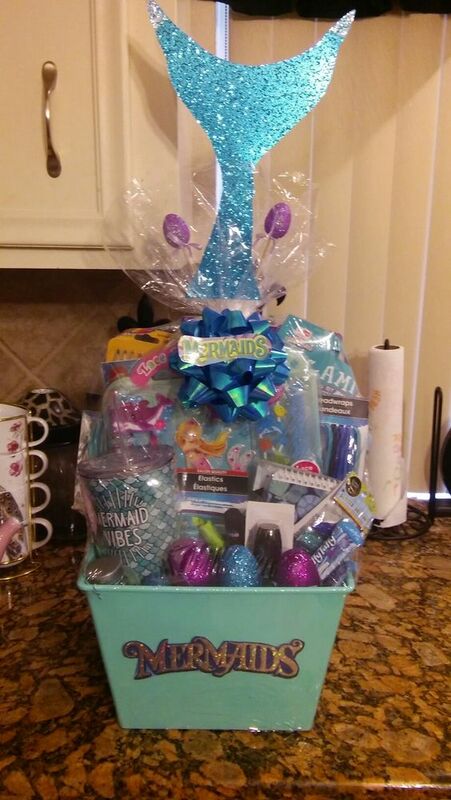 With Easter fast approaching you are probably getting excited about all the celebrations with family. 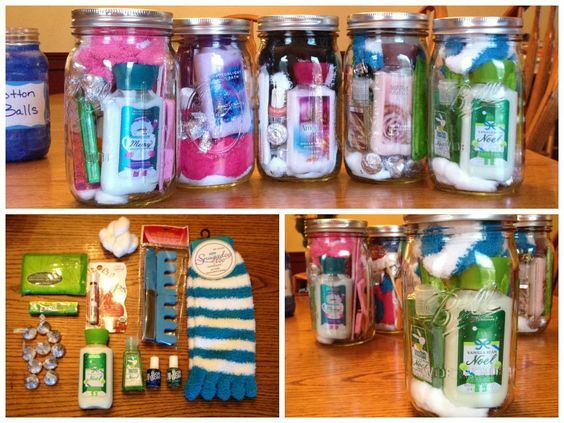 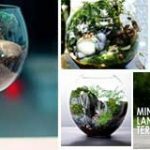 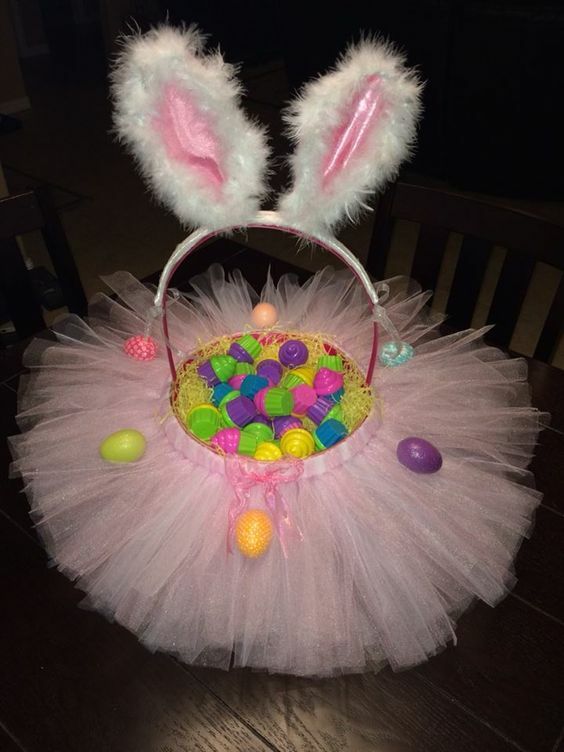 Start collecting bits and pieces for your presents and take inspiration from these DIY Easter Basket Ideas which will make sure every bunny on your list is taken care of! 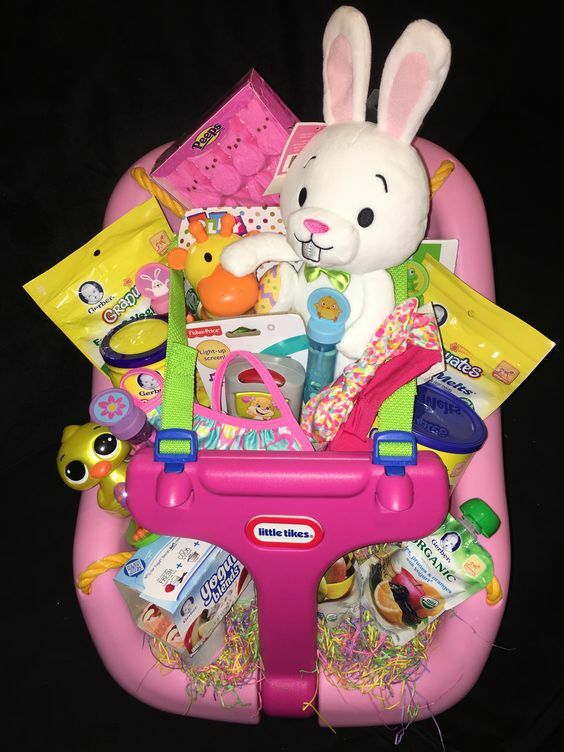 This basket is made by filling a Pink Swing with items including a White Bunny and baby snacks. 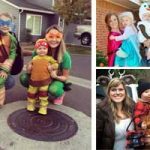 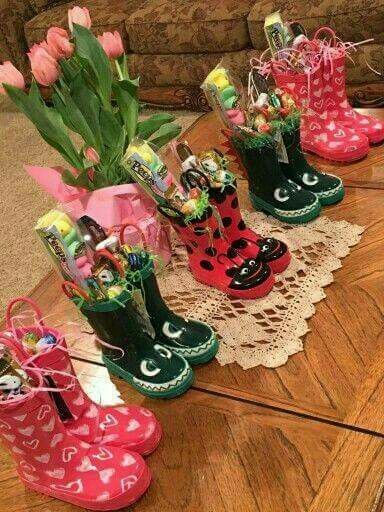 If you have a lot of grandchildren then this is a great idea. 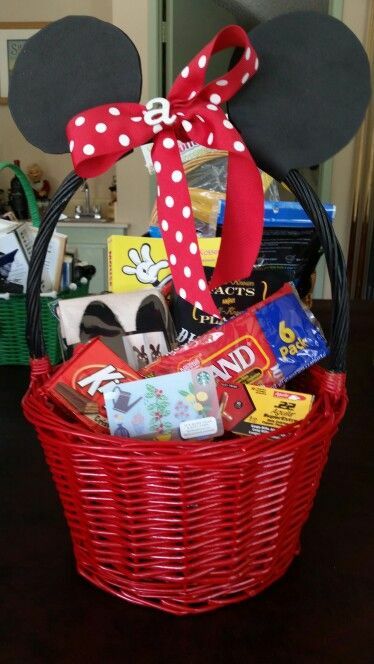 Lavish your child with the magic of Disney with this Mickey Mouse and Minnie inspired Basket. 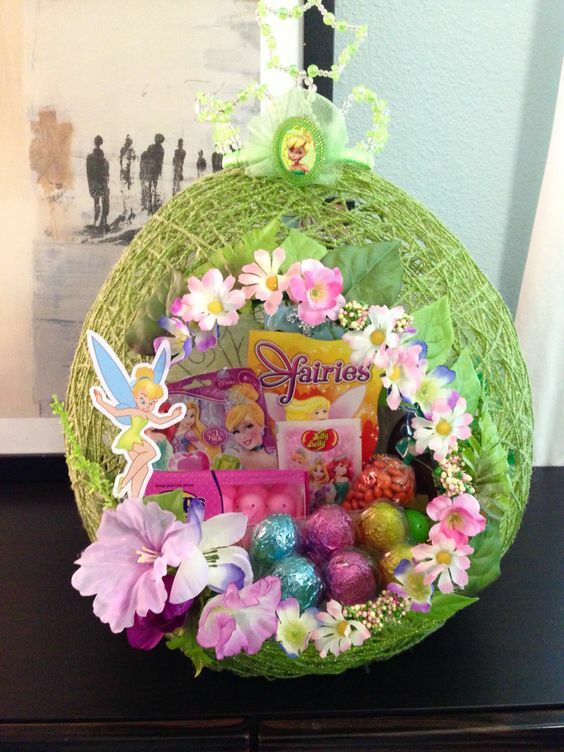 These edible Easter baskets will really go down a treat. 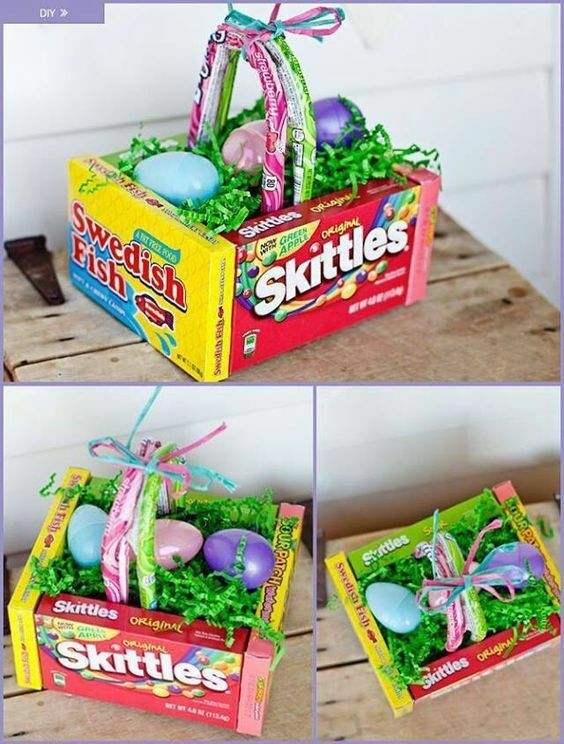 You’ll need 4 Theater box Candy Boxes and 2 Laffy Taffy or <strong>Nerd Ropes to construct your ‘basket’. 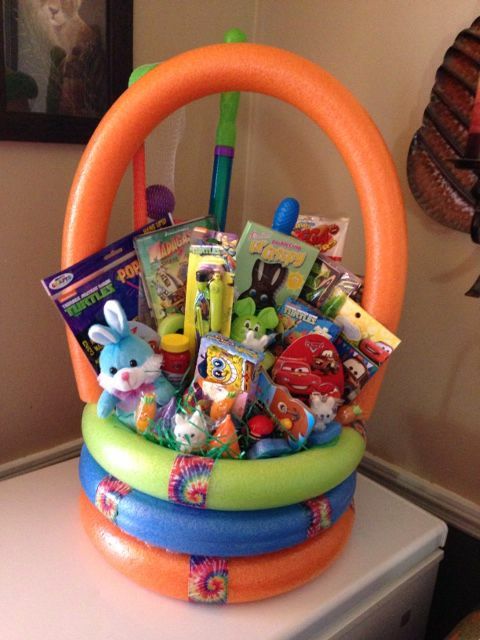 Line it with Easter Grass and pop little treats and Plastic Eggs inside which could be stuffed with Jewelry or dollars. 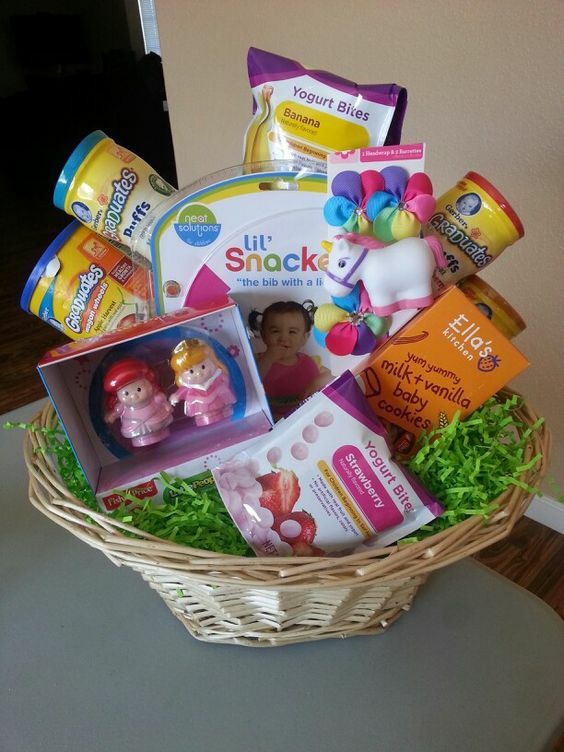 Does your little one have a particular color that they love? 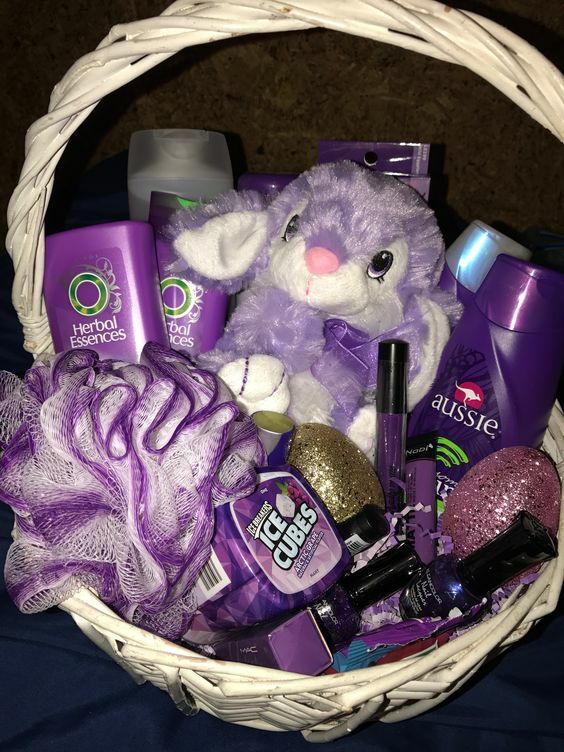 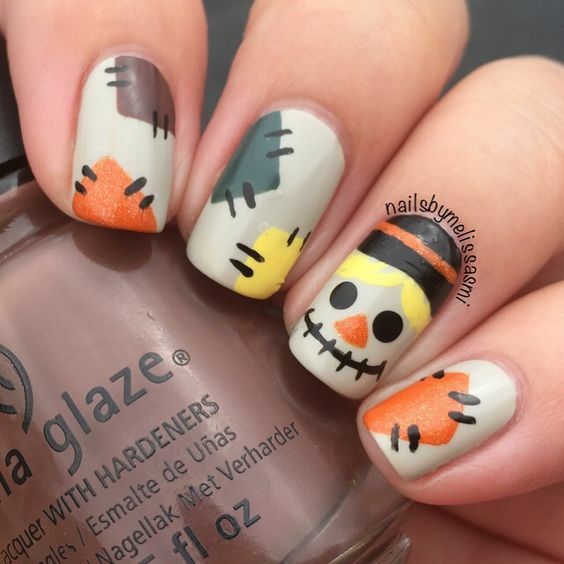 Then put a gift basket together for them in this shade. 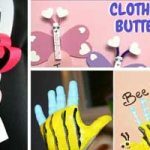 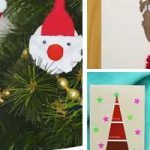 You could get a cuddly toy, sweets and any other item popular in their age group. 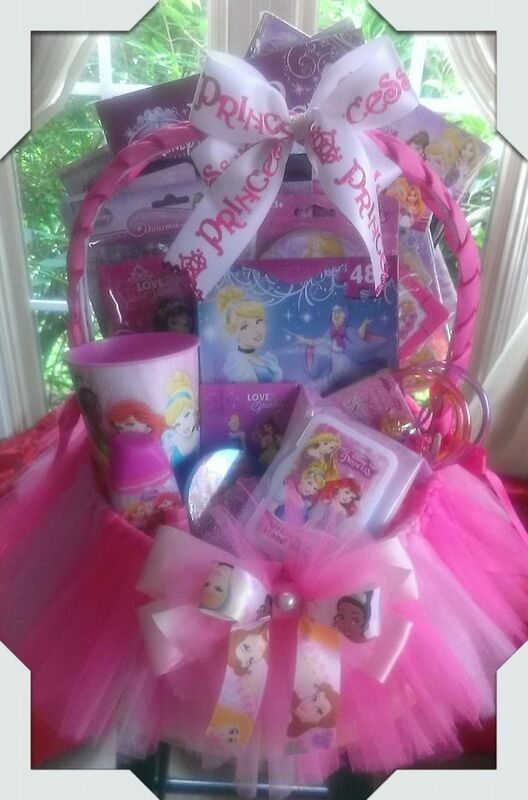 The perfect gift for your little princess. 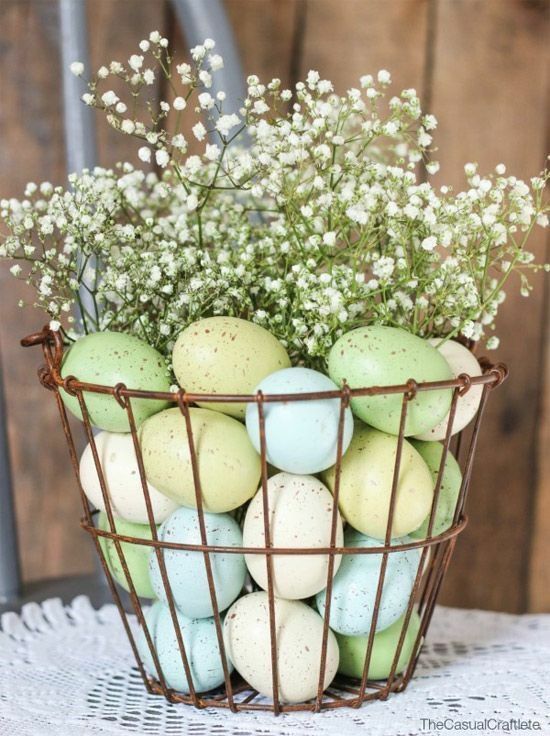 For a cute alternative to a basket – make up an Easter inspired bouquet.Get a clear vase from the dollar store and line it with tissue paper. 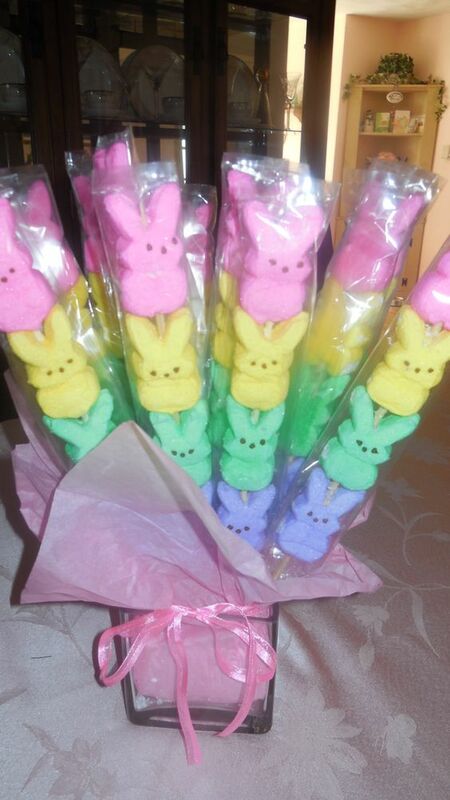 Now you can use kebob sticks to attach different colored Peeps in a row and cover with a treat bag. 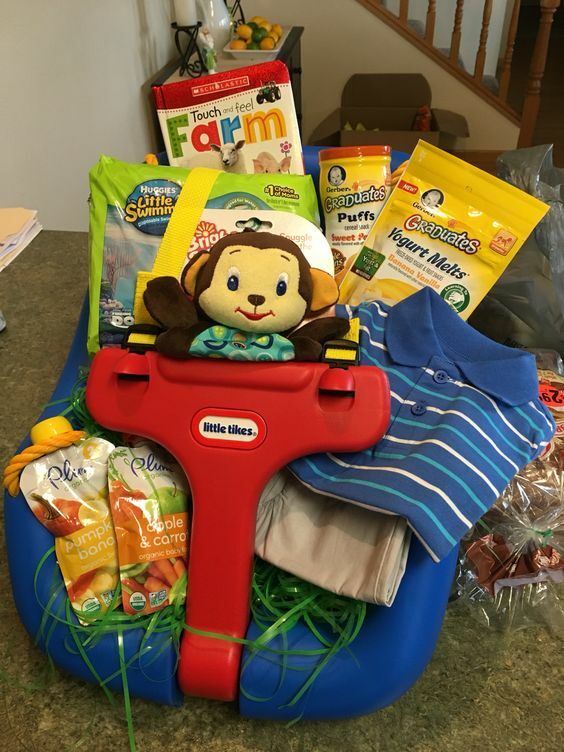 Make this basket by filling a Blue Swing with items including a Monkey a Striped Blue Polo Top and baby snacks.